A fire at a power plant in Puerto Rico left almost 1.5 million homes and businesses without power on Wednesday night. On the ground, businesses were forced to close, and traffic ground to a halt as lights went dark. Around 340,000 people were left without water, and millions were without air conditioning and fans in 90-degree heat. A huge number of Puerto Ricans are still affected, and the scale of the problem is visible from space. 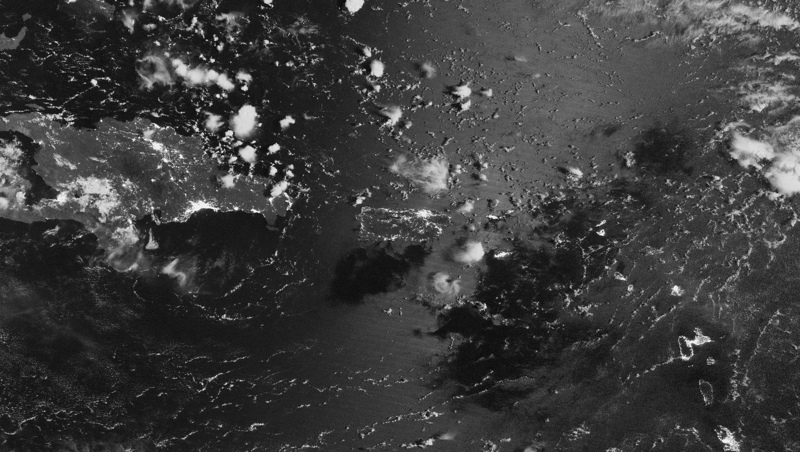 NASA's Earth Observatory shared before-after images of the island, taken by The Visible Imaging Radiometer Suite (VIIRS) on the Suomi NPP satellite. 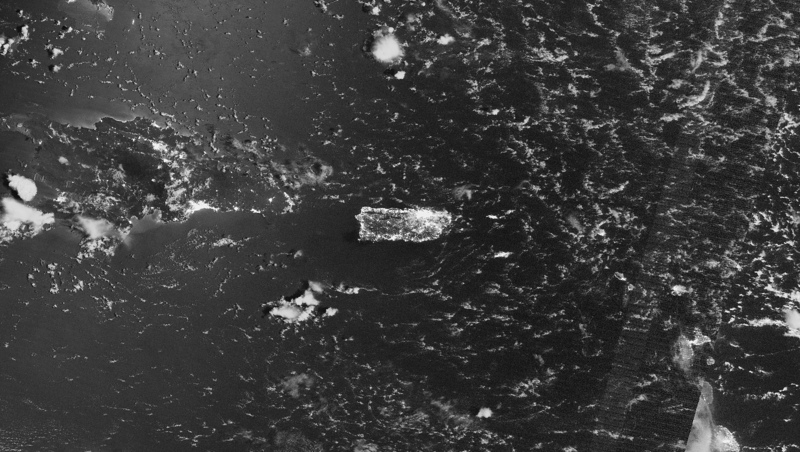 The first image, taken at 2:50AM local time on Wednesday, shows the island bathed in artificial light, especially concentrated around the capital city of San Juan in the northeast. The second, captured at 2:31AM on Thursday, paints a very different picture. While San Juan is still fairly lit, surrounding urban areas are not, and many rural areas are pitch black. The southern city of Ponce is almost entirely in the dark. 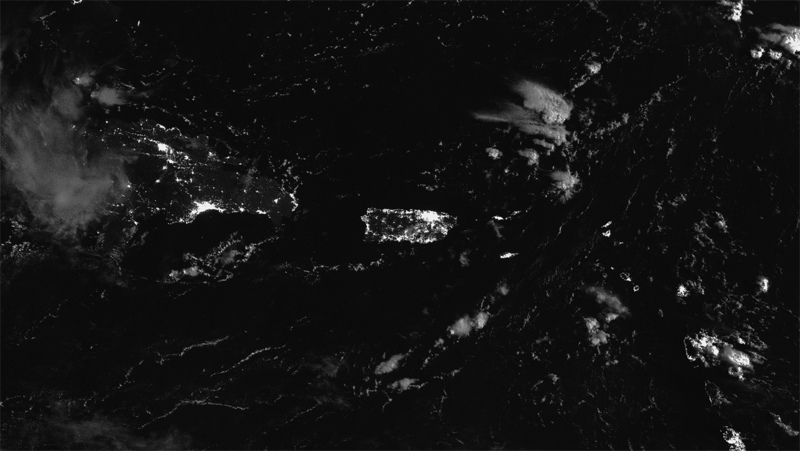 The images were captured using VIIRS "day-night" band. Earth Observatory explained that this band "detects light in a range of wavelengths from green to near-infrared and uses filtering techniques to observe signals such as gas flares, city lights, and reflected moonlight." Moonlight is the reason that the shade of the ocean shifts between the two images. Power had been restored to just under 400,000 homes and business by Thursday night, but millions are still without electricity. The island's government-owned power authority AEE said it expected more than half of its customers to have power by Friday morning, and 90 percent are hoped to be connected by Saturday. The Big Picture is a recurring feature highlighting beautiful images that tell big stories. We explore topics as large as our planet, or as small as a single life, as affected by or seen through the lens of technology.